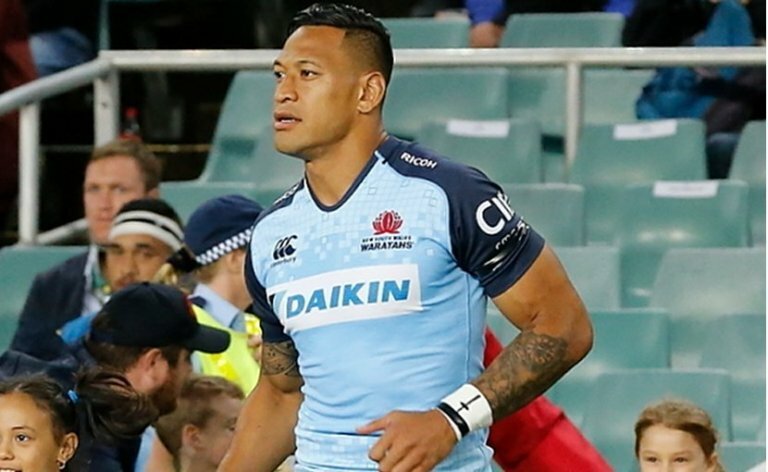 Clashes of Management: Rugby Australia’s Israel Folau Problem - Integration Through Media ....! It was a familiar episode of institutional clumsiness, coupled with a lack of competence. Rugby Australia had evidently hardened to the man. Folau was being accused of another round of excessive zealotry. First came an Instagram post addressed to “drunks, homosexuals, adulterers, liars, fornicators, thieves, atheists and idolaters”. While they were on route to hell, the dedicated evangelical was intent on saving them. The lack of consistency in approaching Folau’s very publicly held beliefs on homosexuality and all who deviate from the path of the righteous had previously caught the officials off guard. Now, not wishing to look weak, they decided to strike savagely. The question here is whether a code of conduct hearing will feature. According to the Rugby Union Players’ Association, “it is imperative that the proper process is followed under the code of conduct.” And given that the player’s options seem to also be closing towards other international leagues, this is probably going to happen. This point is a simmering one, and RA must, to some extent, shoulder the blame. Rather than being removed from the boiler, the issue remained after comments made by Folau last year on Instagram that a special spot in hell was reserved for gay people. He proceeded to explain that “it was never my intention to hurt anyone with the Instagram comment”. It is also worth noting that Folau was not alone, garnering some support within the team. Rugby Australia, then, preferred containment rather than any overtly aggressive measure. Rugby AU CEO Raelene Castle described having a “calm open and honest” meeting with Folau over his use of social media. A strong warning issued. Folau could continue playing. In fact, he was given a new contract. The broader problem here is what Folau is being punished for. Bad boys face a confused regime of sporting administrators keen to use the sporting assets at their disposal while also seeking some exalted moral high ground. It is clear that a behavioural norm is emerging in the workplace: you are to be removed, silenced or made to disappear for holding unsavoury opinions. This is particularly problematic when it comes to a clash of rights; in this case, Folau is a fire-and-brimstone type who is unlikely to change his creed and believes, wholeheartedly, in his cause. His performance as a sportsman is not as relevant as the permitted moral code that attaches to that workplace. The result is often one of shabby treatment for the detractors from the managerial perspective. The attempt at discarding Folau is being waged on a few fronts. Rugby Australia is citing behavioural issues with a renewed sense of purpose; elite coaching director Rod Kafer has decided to hit the player with the suggestion that he has weaknesses in the Australian squad and can be easily left out. “If we just take the Wallabies view, we’ve struggled to find actually Israel’s best position for the Wallabies.” True, he brought “some real unique characteristics” but these did not translate into being “an outstanding player” in international rugby. While there is nothing to celebrate in the extreme views of Folau, his treatment is becoming part of a pattern that characterises modern work and how public views are aired. If only, some bureaucrats in RA are no doubt sighing, he could remain a quiet fundamentalist. And this problem might well have been approached differently. Instead of the inherent messiness of loading the weapon with a four-year-deal last year, Rugby Australia might have simply not renewed it. But then again, this would jar with another part of the RA credo: winning above all else.